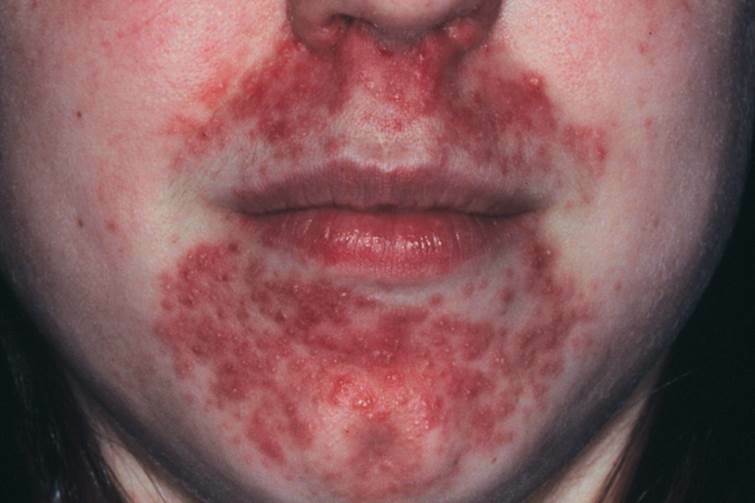 Perioral dermatitis is a facial rash that leaves dry itchy red patches with small bumps around the mouth, nose and eyes. Although it occurs mainly in woman aged 15-25 years of age, it is also seen commonly in children. Common causes of perioral dermatitis include topical corticosteroid creams, inhaled or nasal steroid sprays, fluorinated toothpastes and heavy use of face creams and active serums. Although the perioral dermatitis may flare initially upon the cessation of the topical corticosteroid creams, the dermatology team at Atlantic Dermatology and Laser will hold your hand through this challenging period and cover you with alternative topical or oral medications until the skin begins to improve.